We finished our errands just in time for lunch and since we’re already in Mandaluyong we went to SM Megamall but parking is full and we do not want to wait anymore so we just went home. On our way home, my husband asked me if I want “lechon kawali” I immediately said yes. 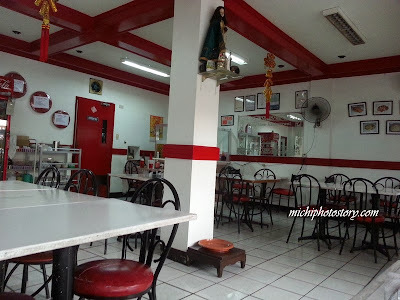 Then he brought us here in Wong Sau Restaurant (Specialty in Chinese Dishes), a hole in the wall restaurant beside PNP Makati Police Station. He said, it is just few minutes’ drive from his office and sometimes they eat their lunch here. The place is not really inviting and parking is very limited but price is reasonable. The former names of this restaurant are D’Hong restaurant and Ding How restaurant. Since he is a frequent diner of this restaurant, I let him order our food. We got Bird’s Nest Soup with Chicken P110, Lechon Guisado Rice P90, Butter Chicken Rice P90 and 1.5 liter softdrinks for P50. Bird’s Nest Soup is just ok; instant Nido soup is much better when it comes to taste and consistency but my son likes it maybe because of the quail egg and bits of chicken. 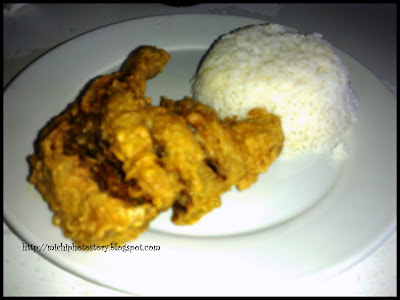 I tried the Butter Chicken of my husband and I was amazed how they cook this chicken because it is crispy and I can really taste the butter. I want to try this at home. Finally, my order came and I was shocked because I am expecting for crispy lechon kawali but my husband said, Lechon Guisado is better than lechon kawali. 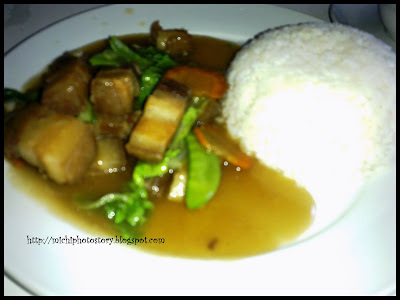 Well, the taste is like chopsuey with lechon kawali. They also accept catering services and dine in party. 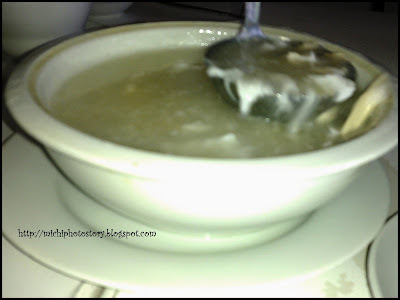 We visited this again last November 23, 2013 and ordered the same meal Bird’s Nest Soup with Chicken P150, Lechon Guisado Rice P115, Butter Chicken Rice P115 and Ampalaya Guisado P100. I was disappointed because the taste of butter chicken changed and my husband tried it too and he said “iba na nga lasa”. Checking the price, I think fastfood is much cheaper. 1551 Gen. P. Santos St.